When you hear this what the first thing you think of ? Good presentation, eye contact, well dressed, or punctuality, and professionalism. All those and many more we could add to the list of making a first impression. It applies to everything we do, and not only getting hired. We sell automobiles for a living, we need to make that first impression, if not going up hill throughout the day will be tough. We sell parts, or provide service it’s the same, when in the people business our attitude needs to be on point. Making the first impression is critical. Your making a partnership with the person across from you and your integrity, and trust must equal your businesses mission statement. Every employee must understand or know what their mission statement means and including their business culture. I say, it should be posted in your showroom or in your service drive, so your clients or customers could read it. Everyone and with no exceptions are exempt from your company’s mission statement. It’s all about what you and everyone else believes in providing outstanding service, the attitude or balance of your performance is required. When we greet our clients each and everyday, the fist impression better make them feel warm and fuzzy. Doesn’t matter what kind of morning you are having, your facial expression is key. What do I mean when I say “key”, it’s demonstrating your commitment of 100% satisfaction. That’s the “key” excelling in whatever field you are in. 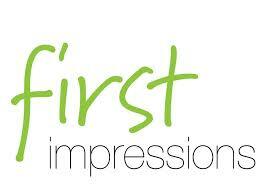 Your first impression sells not only what you facility is offering but, also the most important thing is YOU. Without it you have nothing or better yet no business. Look in the mirror and sell yourself something, and then ask yourself would I buy it? It’s not about perception, it’s about making the best first impression. The last time I checked the social media sites, it tells the stories about how well our customer service really is doing. We made say, not our facility and not our service or parts department, it’s about every individual wearing your companies logo and how they represent your franchise. When dealing with the public and your employes’ every word and expression is key. They must embrace your focus and desire in making the very best first impression. Having great managers that only shout out orders and tell everyone what a horrible job they’re doing is not the key to success. It’s the key to disaster and each person your employee comes in contact with. The first impression is the “key” because you don’t get a second chance. So start with your managers and make sure they understand and demonstrate it daily. It’s a team concept and everyone should understand it 100%, if someone is not in-line take him or her to the side and find out what the issues are quickly. Don’t let someone sink because it not my responsibly, make it yours and help them through it. Team players and understanding why you’re there in the first place. Should be our goal and commitment to our customers, they’re coming to us and that alone should make things better. Because without them we would not be employed. So overtime, when performance is peaking and all our clients are completely satisfied is when all the training and efforts put front and center may the difference. It’s the first impression and will be the driver every time we do business with people. So if your head is not right and feeling down, reset before heading of to work, the difference will be huge. People love dealing with great spirit and great attitude and with the present mind and focus. The first impression will knock them to the floor when all the ingredients are mixed together. So the next time someone asks you is the first impression critical, pull this out and let them read it. It all starts with YOU. This entry was posted in Uncategorized and tagged first impression, mission statement. Bookmark the permalink.